Located on the beautiful Trinity River and surrounded by the Trinity Wilderness Area, Strawhouse Resorts is a truly stunning place for your next get-away or special event. Strawhouse Resorts is perfect for adventurous weekends to week-long, relaxing vacations. We offer wedding, family reunions, anniversary parties, church and group retreats, and church or business meetings services with all the amenities, including lodging and fabulous meals for your group�s convenience. 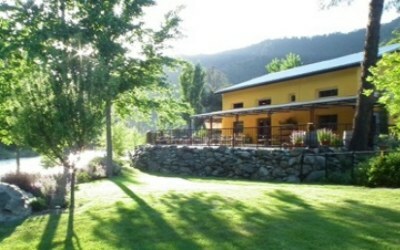 Guests will be delighted by a clean, inviting cottages or yurt over-looking the beautiful Trinity River or our park; a friendly staff; on-site organic coffee & tea house and caf� with fantastic on-site organically roasted specialty coffees; delicious breakfast options; gourmet lunch and dinners; wood-fired pizzas; wireless internet access; and information on all the area�s recreational activities. Welcome to the newest addition at Strawhouse Resorts! 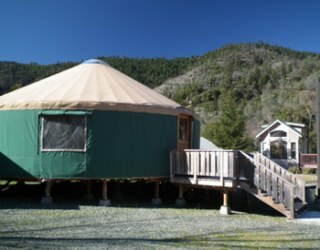 Our 30′ Pacific Yurt is a place of tranquility and fun in the round. The clawfoot tub invites you to relax while you enjoy classical or nature music in the background. 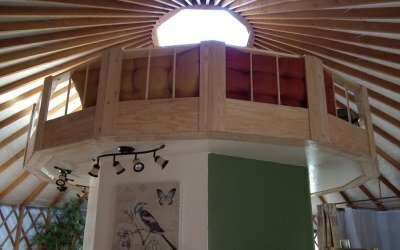 The loft is an intimate place to read, relax, or just watch the stars at night. The yurt is outfitted with bamboo flooring, heating and air conditioning, an electric fireplace in the bedroom area, microwave oven, small refridgerator, coffee pot, toaster oven, clawfoot tub and shower, a queen bed, a large deck area. 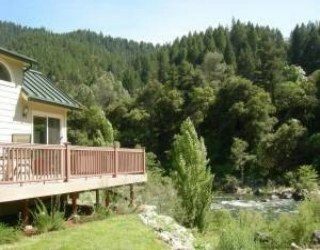 You have private river access located next to the Strawhouse Cafe�. It�s a perfect for a romantic getaway, a family vacation, or a group retreat.